So as I've previously said I now have publishing software. This means I can make the adventures look prettier. 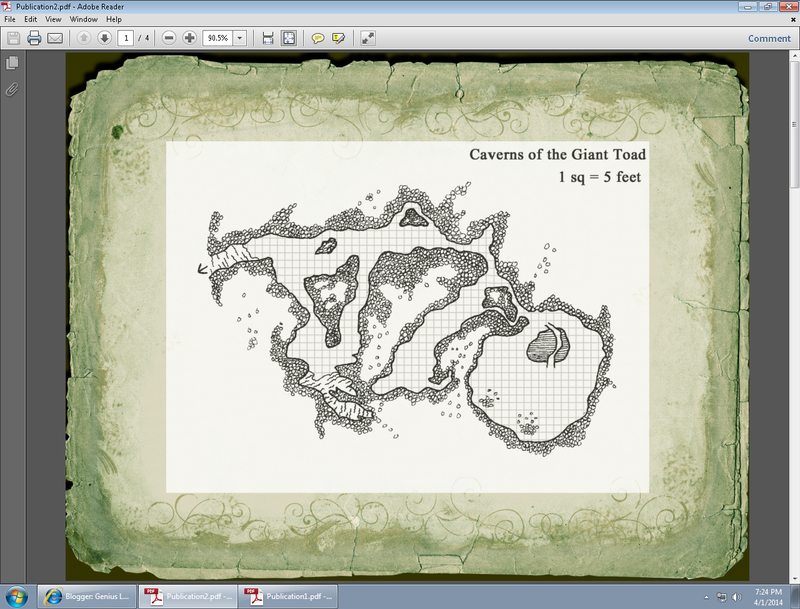 Here is an example using the gridded map on page 6 of the adventure "Joy in a Flask". Certainly looks good - I've just reviewed it on RPGNow. Watch that green splodge in the top left corner of that lovely background. On the Adventure page it pretty well obliterates a couple of words! Thank you for the review! Hmm, didn't notice it, I will go back and update later today or tomorrow. Thank you for telling me!